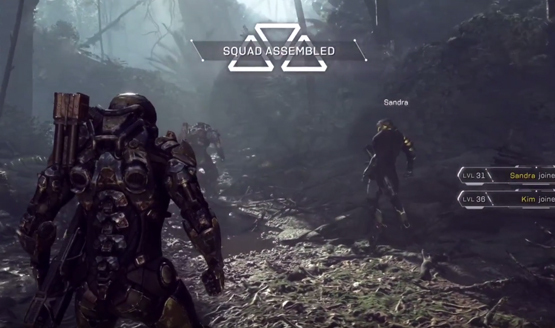 During a recent earnings call, EA executives boasted of how well Anthem is coming along. Player excitement is apparently through the roof and EA and BioWare couldn’t be happier, as has been previously expressed. It also promised more information about the game. On February 22nd , BioWare will launch their stunning and ambitious shared-world game, Anthem. The team has done an outstanding job executing against their vision for a game with amazing levels of complexity, scale, and innovation. Anthem has won more than ninety awards, including recognition as one of the most anticipated games of the year, and player feedback continues to be highly positive through our pre-launch testing. We can’t wait to see this game come alive for fans at launch and through the long-term live services to come. Blake Jorgensen, COO and CFO, added the publisher has raised its expectations. With new IP, it’s best to keep sales projections on the lower end. However, internal and external enthusiasm has encouraged EA to move the needle a bit. Naturally, what’s been shown of Anthem fuels much of the anticipation. And there’s more to come, too. According to Jorgensen, fans should expect to see more of BioWare’s latest project after the holiday season. We’re also very excited about Anthem. Andrew mentioned it was getting a lot of positive feedback. We think it’s a fabulous game, and you’ll see a lot more of it to come after we get out of this holiday window into early next year. And I think our original expectations of the game were probably too low, and thus we think that’s important. Let me start with Anthem and I’ll let Andrew address the mobile piece. Anthem, it’s a brand new IP. And so when we originally forecasted it, we forecasted it at a pretty low level, as we thought about without a lot of information. That was last May or April when we put that forecast together. As we’ve gotten deeper into the final parts of the game and we had it tested with a lot of people, clearly the excitement is building. It started building at E3 as people learned what the game was and saw it. And so typically, when you’re forecasting a brand-new IP, you usually start lower and then build that forecast over time, and that’s essentially what we’ve done. We’re getting excitement both internally and externally about the game. As Andrew mentioned, it’s very different than anything BioWare has built in the past. It looks stunning and it plays extremely well. And that’s what’s given us more confidence around the forecast. Even before the holidays wind down, BioWare plans to give fans another fresh look at its shared-world shooter. On November 1st, the developer will host a livestream. Anthem will launch early next year on February 22, 2019. A demo goes live on February 1st.